In this three-day intensive artist-in-residency workshop, you will fabricate a unique necklace using found objects, scrap silver and gemstones. To showcase your one-of-a-kind creation, Richard will instruct you as you create a display stand to house your gorgeous necklace when you’re not wearing it. 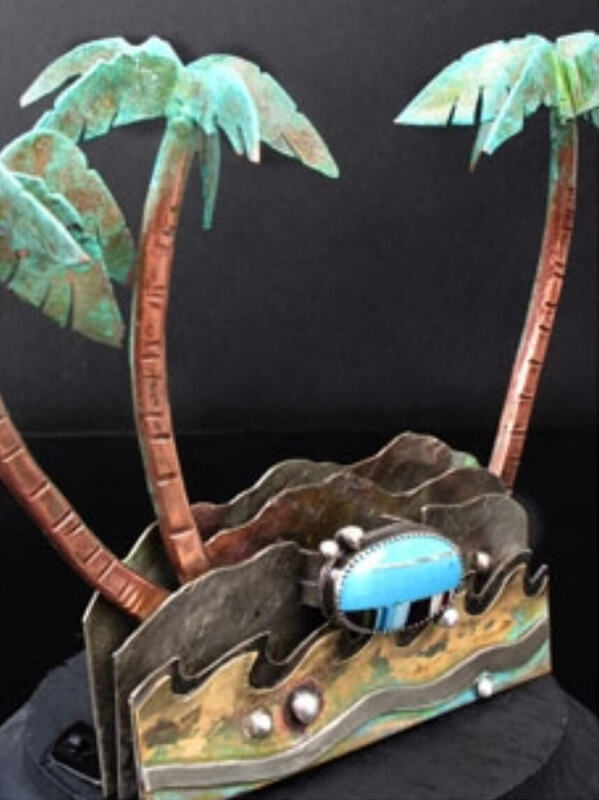 Combining sculpture and metalsmithing in one workshop will push you to new heights and challenge your fabrication skills. In this all-inclusive workshop, Vivi Magoo will take care of your every need. You are there to learn.play.create. Enjoy your time with Richard, friends and fellow artists. In beautiful Coronado, California. In June. How can you go wrong! Cancellations prior to May 6, 2019 will incur a $300 processing fee. Cancellations received on or after May 6, 2019 are non-refundable. The “Crown City” of California is home to some of the best beaches in the world. 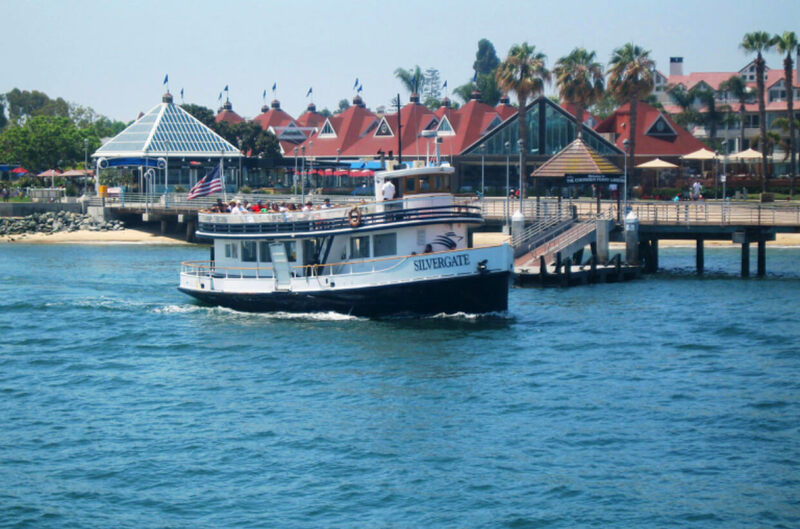 Coronado is equal parts eclectic seaside village and premier resort town. A mere two-mile drive from cosmopolitan, downtown San Diego, across one of the world’s most distinctive bridges, is Coronado Island – a world away. Developed in 1888 as a beach resort town, and home to the famous Hotel del Coronado, the island is blessed with one of the finest beaches in the world and bathed in endless sunshine. Coronado today is a vibrant beach community loaded with charm. 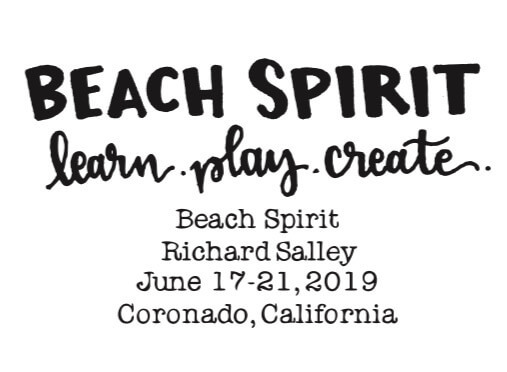 You may choose to ship your things ahead of time to the Beach Spirit retreat. Make sure to put your name on your boxes so we know where to direct them when they are delivered. We would appreciate it if you would time delivery one day prior to the start of your first class. Each participant should optimally have an intermediate level of experience with basic metal smith techniques. Students should be comfortable using a hand-held torch, and have a basic understanding of the tools on a metal smith’s workbench such as various hammers, the bench block, jeweler’s saw and a variety of texturing tools. Do you need to be an expert jewelry designer to take this series of classes? Not at all; Richard is exceptional at meeting his students at their individual level. And, with only fourteen students, the amount of personal attention he can give his students is going to be awesome!